What the hell do Benny and Baz know that the rest of us don't? 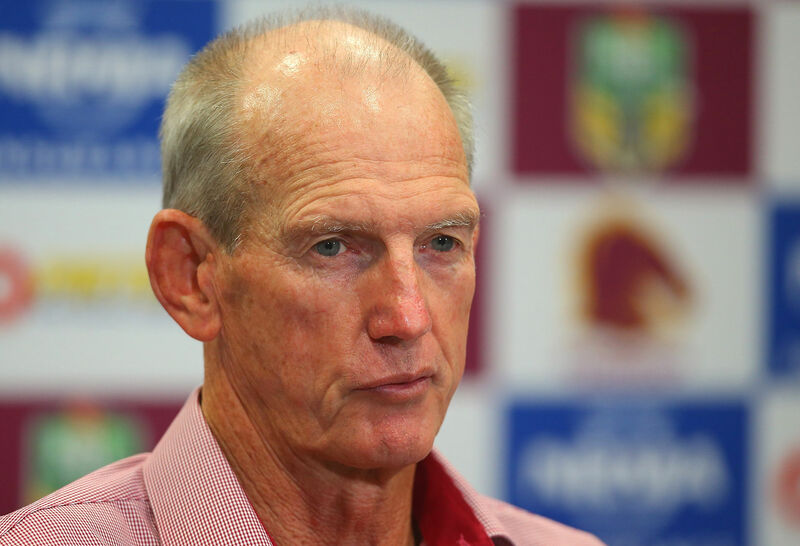 This week has been dominated by discussions regarding two coaches at opposite ends of their career yet in strangely similar circumstances – Wayne Bennett and Trent Barrett. 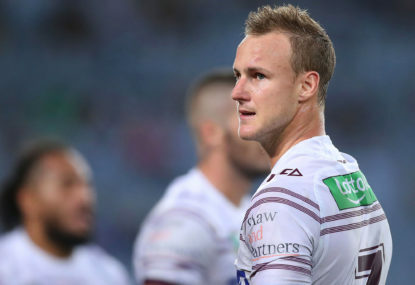 Bennett is signed to the Broncos until 2019, but by all accounts he has asked to have that extended until 2020, which Brisbane aren’t keen on. When did a guy with more than a year to run on his contract become so precious about the fact he can’t get that pushed out by just 12 more months? Perhaps the strangest part of this is that the veteran mentor has said he wants to wrap things up as a coach in Brisbane. “I want to finish my career here,” he told reporters this week. 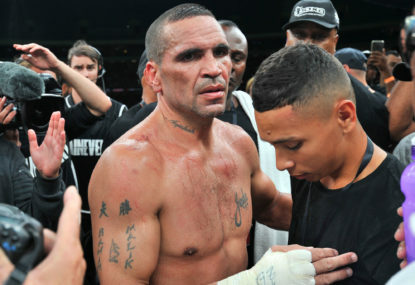 But if he wants to finish his 40-odd-year career in Brisbane, what difference does it make in the grand scheme whether that’s in 2019 or 2020? What happens in 2020, Benny? Does he have a bet with someone that he can extend his run into yet another decade? Because, if not, maybe he should just accept the board’s decision and hang up the clipboard at the end of the most recent contract he signed. Anyway, club CEO Paul White did his best to put all the speculation to bed on Friday by saying Bennett would be the coach in 2019 and they’d discuss what happens after that at the end of this season. Makes sense, but most media outlets are saying it’s simply a case of the stalemate continuing. Which, I guess, it is, but it’s also pretty standard practice for a club to wait until their coach is in the final year of his deal before talking extensions, unless the coach has got some serious cards to play, like having just won a premiership – which Bellamy himself decided not to do after claiming last year’s decider. 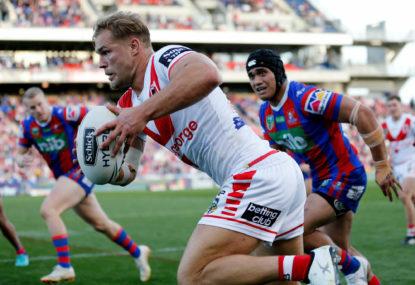 As for Bennett, while he’s the most successful coach in rugby league history, as they say in those superannuation ads ‘past performance is not an indicator of future outcomes’ – and his last performance that really mattered was all the way back in 2010. Not a great card to play, but it’s a world better than what Trent Barrett’s got to work with on his CV. 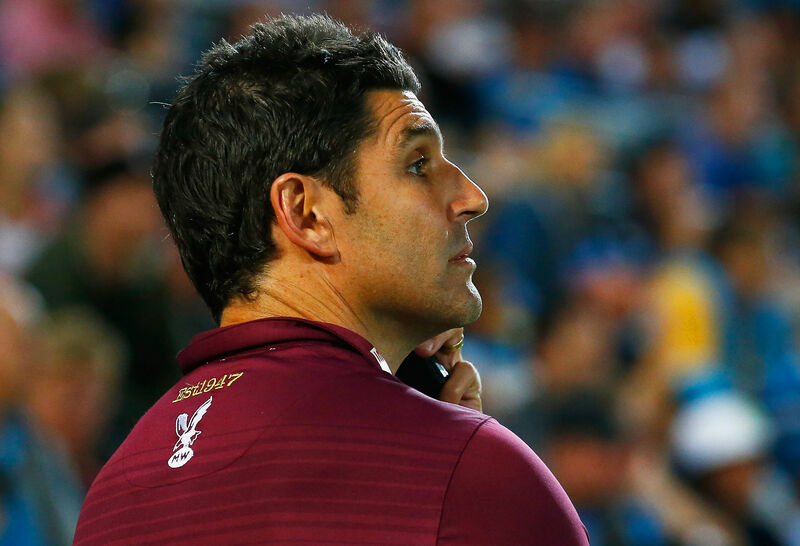 The Sea Eagles coach is in the very early stages of his career, yet it’s the worst-kept secret in rugby league that he’s already told Manly they can shove their head coaching role. Pretty ballsy for a guy who’s led a very proud, very successful club to one finals campaigns in two seasons and has a winning rate of 41 per cent. And yes, yes, ‘hamstrung by salary cap’, ‘poor facilities’, ‘not enough support’, ‘my porridge is too cold’. 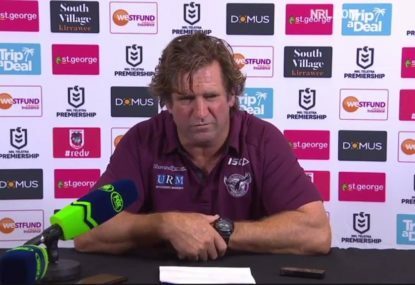 But apparently he’s so confident of his abilities and future coaching prospects that he tendered his resignation in July, with the Sea Eagles in line for their first ever wooden spoon in over 70 years in top-flight rugby league. Once again, you get the feeling Barrett knows something the rest of us don’t. Because when you’re a rookie coach with a losing record and no great achievements to fall back on – such as a premiership, Dally M Medal for coach of the year, or having rebuilt a failing club – what’s the appeal of hiring you? 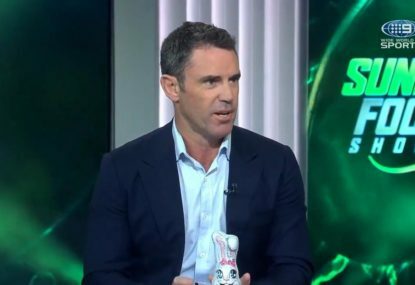 So while Barrett maintains he doesn’t have a gig lined up, would he otherwise really be so willing to walk away from a first-grade coaching role in the NRL? 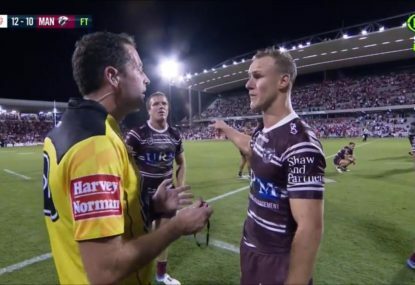 Perhaps the young coach needs to learn the hard way that jobs such as the one he’s got don’t come along all that often – ask premiership winning clipboard-holders Michael Maguire and Des Hasler. 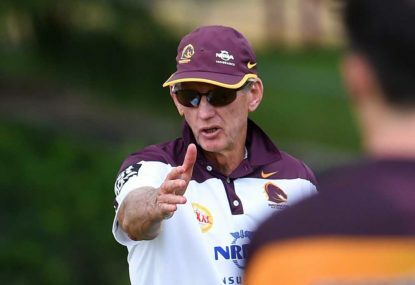 Yet both Wayne Bennett and Trent Barrett are reportedly ready to give up their present roles because they aren’t getting what they want. Is it a case of the arrogance of experience and the folly of youth respectively, or just a couple of blokes who know a hell of a lot more than the rest of us? Is Freddy onto a winner?